A first-year learning community is a great way for students to make the most of their first year at Nebraska. 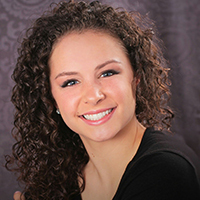 In addition to living with other students who share similar academic and career interests, students are enrolled in some of the same classes and have access to an upper class student mentor and work with a staff sponsor. 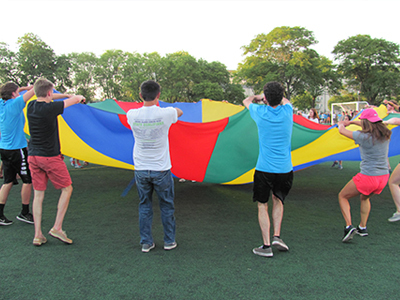 Learning communities also offer students unique opportunities to form study groups, participate in campus activities, and build teamwork skills, while connecting to the campus community. The College of Business sponsors two learning communities. Business Leaders, helps business students build skills and the knowledge needed to become future business and community leaders. Business Opportunities: Find your Fit is designed for students that are interested in finding their fit across all business opportunities. To apply for a First-Year Learning Community, you must complete your Housing Contract no later than May 1. However, space is limited and applications are accepted on a first-come, first-served basis, so complete your contract as soon as possible. Back to School Bash - The College of Business welcomes students back for the fall semester with pizza, drinks, live music, prizes and more! 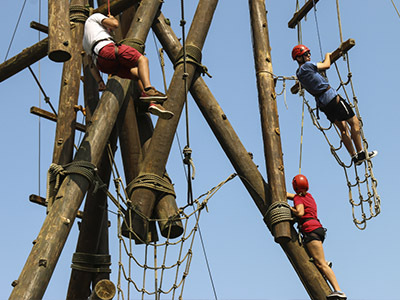 Challenge Course - Students work as a team to overcome challenges, build teamwork, leadership, and communication skills, while learning when to lead and follow, through the Campus Recreation Challenge Course. B-Week (Business Week) - Celebrate the College of Business! Students celebrate our college by hosting a variety of student-led activities and inviting business speakers. One and DONE! - A celebratory social of your first month at UNL with former BLC students. Major Showcase - Students can learn from College of Business academic advisors and career coaches about each major and its applications with career opportunities. Freshman Advising Nights - Academic Advisors hold special individual evening advising appointments in the students’ residence halls; this is a special perk as students do not have to schedule other individual appointments during a busy time of year. BIG Trip with Learning Communities - The College of Business join other Nebraska Learning Communities on a trip to a larger mid-Western city to experience “behind the scenes” business tours, professional networking opportunities, exploring the local cultural/theater scene, while also having the chance to try out the local entertainment. The BIG Trip is a semester highlight! Student Organization Fair, Career Fairs, and Education Abroad Fairs - Students are encouraged to explore the possibilities on campus, professionally, and internationally through Nebraska sponsored Student Organization, Career, and Education Abroad fairs. 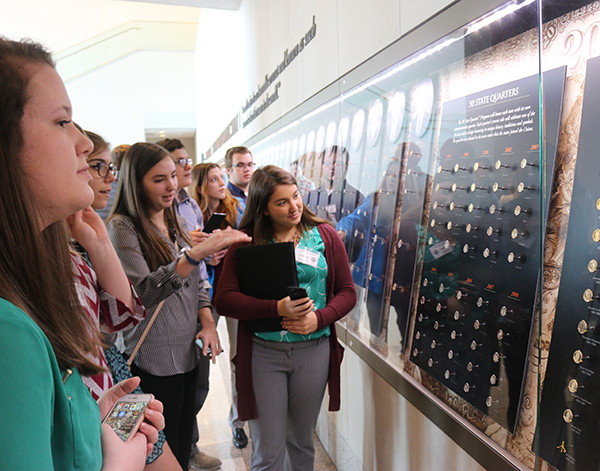 The experiential opportunities help students build their resumes, gain core competencies, and enhance college experiences. Campus Activities and Events - Students are invited to attend campus events and participate in activities, such as intramural sports, campus concerts, speakers, cultural programming, music/theater performances, and so much more! Professional Workshops and Events - Employers, professionals, and guests often provide opportunities for students to grow personally and professionally. Learning Community students are encouraged to attend the events in order to network with employers and explore career options. Student Programs (mentor sponsored) - The Learning Community Peer Mentors sponsor a variety of social, academic, and professional related events for students to get to know one another, explore campus activities, and have fun! 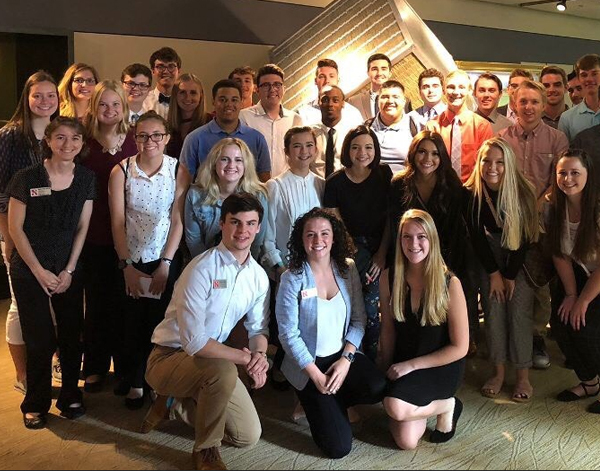 The Business Learning Communities participated in the LC BIG Trip to Chicago in September 2018 and the Spring Trip to Kansas City in March 2017. Check out the BIG Trip Agenda and our featured story below. 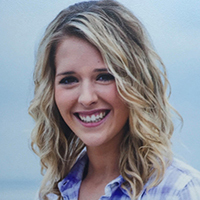 "Being a member of the Business Learning Community (BLC) was by far the highlight of my freshman year. I was able to travel to both Chicago, on the BIG trip, and Kansas City in the spring. Through these events and the ones spaced throughout the year I was able to make a ton of friends and bond with my mentors. By doing this, I am now more involved on campus and have more faces to greet everywhere I walk. 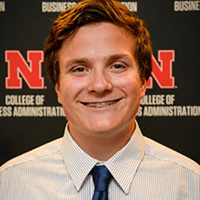 Having courses with other BLC members, being able to connect with other students with mutual interests and getting special Advisor sessions contributed to the success of my first year at UNL. The BLC makes the College of Business just a little smaller and creates networking opportunities other students don't get. I’m so glad I decided to join and highly recommend it to all Business Freshman looking to Start Something and leave their mark here at Nebraska." Being a part of the Business Learning Community was a great decision I made. I was able to build friendships and take classes with peers that had similar interest. This made the transition to college easier, by having the ability to study for classes together. The BLC also gave me the opportunity to talk to employers on both of the trips to see what they look for and expect from their employees. 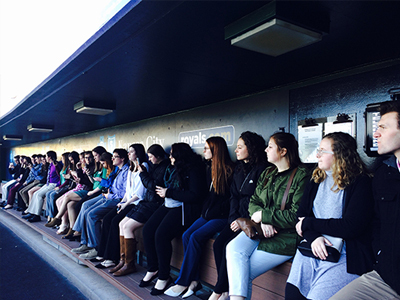 Overall, the BLC helps build connections both professionally and socially, and was a great experience to have. The Business Learning Community made my first year of college easier than I expected. I got to live with and next to peers in my classes, which was great when you needed a friend to walk to class with or someone to study with. This helped me make long-lasting friendships. One of my favorite aspects of the BLC was the resources it provided you. You can easily get to know your advisors, who are always willing to help you with your academics and find you opportunities to succeed. 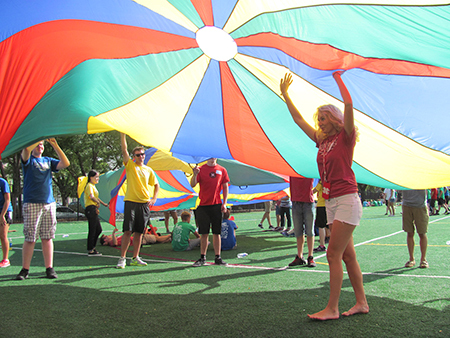 The BLC introduces you to the campus and provided many fun activities to get you involved. A memorable experience for me was going on the BLC trip to Chicago. Not only did you get to explore the city, but you got tour of companies in the area. It was beneficial learning and taking advice from the companies' employees. Overall the BLC has taught me to be engaged and take advantage of the resources given to me. I can honestly say choosing the BLC was the best decision I made freshman year; I met my closest friends through this experience! 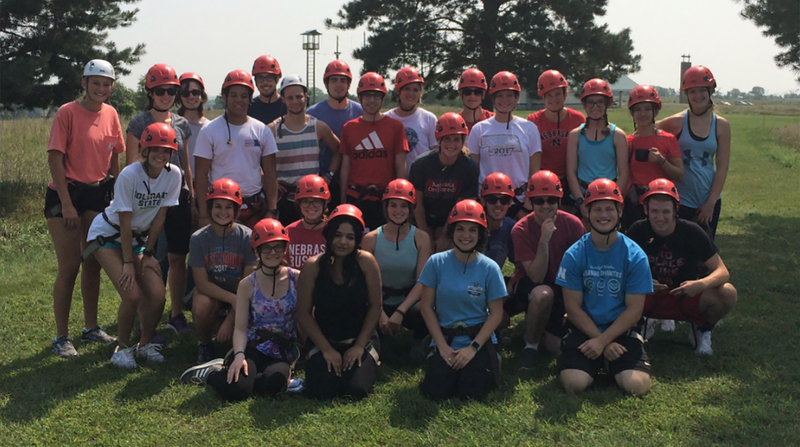 Participation in Learning Community activities is completely voluntary, but we're confident you’ll find plenty to enjoy and that it will be one of the best decisions of your first year at Nebraska. What are the benefits of joining a First-Year Learning Community? What are the benefits of joining a First-Year Learning Community? Students who participate in a Learning Community are often more successful. On average, Learning Community students have a higher first-semester GPA and are more likely to graduate on time. Also, Learning Communities are a lot of fun and provide students with experiences they may have not otherwise. That's fine! 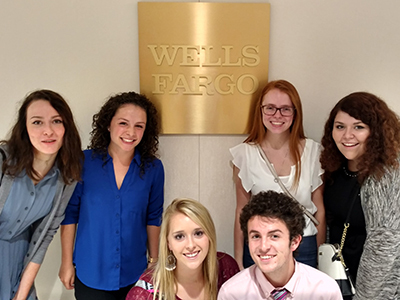 The Business Learning Communities are interest-based and do not require a specific major; they are open to any first-year student interested in learning more about the business field. I have already taken one of the courses the First-Year Learning Community takes together; can I still join? Yes! At your New Student Enrollment orientation session, you will work with an academic advisor to verify which of the learning community courses are right for you. If there is a course you already have credit in, you will not be expected to retake that course. You may request a roommate if that person has also been accepted to the same First-Year Learning Community. While you are not required to request a roommate, you can utilize the Roommate Finder tool in your MyRED account beginning in mid-April. When will I find out if I am admitted to a Learning Community? All Learning Communities are filled on a first-come, first-served basis. You’ll be notified about your learning community status 2-3 weeks after you submit your Housing Contact.